The growing impact of Western economic sanctions. The transatlantic debate over providing arms to Ukrainian forces. State that any future spread of the conflict beyond the existing cease-fire line would be seen as an attack on the political sovereignty of the government in Kiev. Make clear that they will not consider easing any of the current economic sanctions until the Minsk II agreement has been completed in full. Include unfettered inspections by the Organization for Security and Cooperation in Europe. Ensure the Ukrainian government’s securing control of its border with Russia. For more information on how to book Robin Niblett as a keynote speaker for your conference or client event, please get in touch with Leo von Bülow-Quirk at leo@chartwellspeakers.com or call on +44 (0) 20 7792 8000. Click here to read the full article, or watch the video above for more. 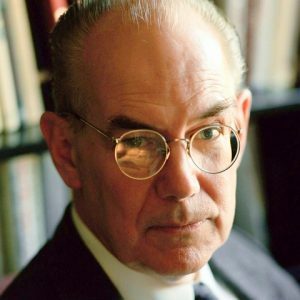 For more information on how to book John Mearsheimer as a keynote speaker for your conference or client event, please get in touch with Leo von Bülow-Quirk at leo@chartwellspeakers.com or call on +44 (0) 20 7792 8000. Writing for London’s City A.M., prolific foreign affairs commentator John Hulsman explores the supposed “conspiracy” behind Saudi Arabia’s oil war. John posits that it seems increasingly likely that the US and the Saudis have struck a secret deal to keep pumping and push down the price of oil. In the face of the challenge posed by US fracking, Riyadh may be ruthlessly defending its market share, while knobbling its great, emerging American rival in the process. Riyadh is hearkening back to the 1980s, when a then-secret deal to drive down the price of oil helped to economically destroy the Soviet Union. John contends that the second option seems more viable. This is because it is being “openly whispered” that US secretary of state John Kerry met Saudi King Abdullah on 11 September this year, to strike a deal that would economically cripple – if for differing but complementary interests – their mutual enemies Iran and Russia. For more information, or to book John Hulsman as a keynote speaker for your conference or event, please contact Alex Hickman at alex@chartwellspeakers.com or call 0044 (0) 20 7792 8004. Writing in the Washington Post, Mitt Romey, 2012 US Presidential Candidate, argues that all reasons put forward for the decimation of the U.S. military defence are wrong, and that as “Russia invades, China bullies, Iran spins centrifuges, [and] the Islamic State threatens” there is still need for a mighty U.S. military. For more information on how to book Mitt Romney as a keynote speaker for your conference or event, please contact Ellis Trevor at ellis@chartwellpartners.com or call +1 972 385 1021. Writing on the continued crisis in Ukraine, Dr John Hulsman, president and co-founder of the global political risk consultancy John C Hulsman Enterprises, has look at how and why sanctions have become a busted flush for the West, and why Putin holds most of the cards in Ukraine. John believes this situation has occurred because “Russia simply cares more about what happens in Ukraine than either the US or any of the major European powers. Moscow is therefore prepared to invest more to achieve its desired outcome.” Europe’s energy dependence on Russia remains it’s Achilles Heel, as John argues that at present “imposing Iran-style sanctions on Russia would certainly throw Europe into a desperate energy crisis.” Read the full report published in The Telegraph. For more about Dr John Hulsman as a geopolitical speaker or to book a War Games for your next conference or event, send us a quick email for his fees, expertise and latest availability.